Learn All About Mushrooms – Curious about mushrooms? 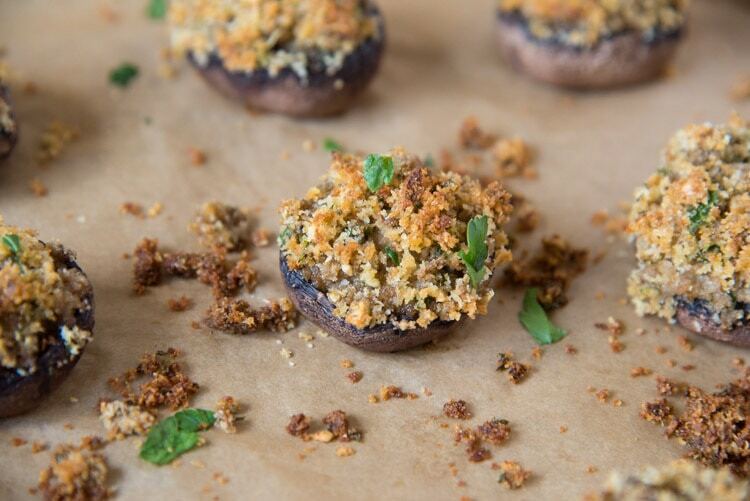 Here’s your guide to selecting, caring for, how to store mushrooms, and cooking these nutrition-packed bites! 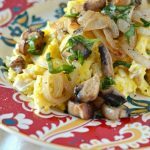 Mushrooms are one of those foods that are incredibly versatile and handy but are still a bit mysterious. People seem to either choose the same types of mushrooms every time or have no idea what kind of mushroom that might work best in their dish. Still, others avoid these delicious treats all together! 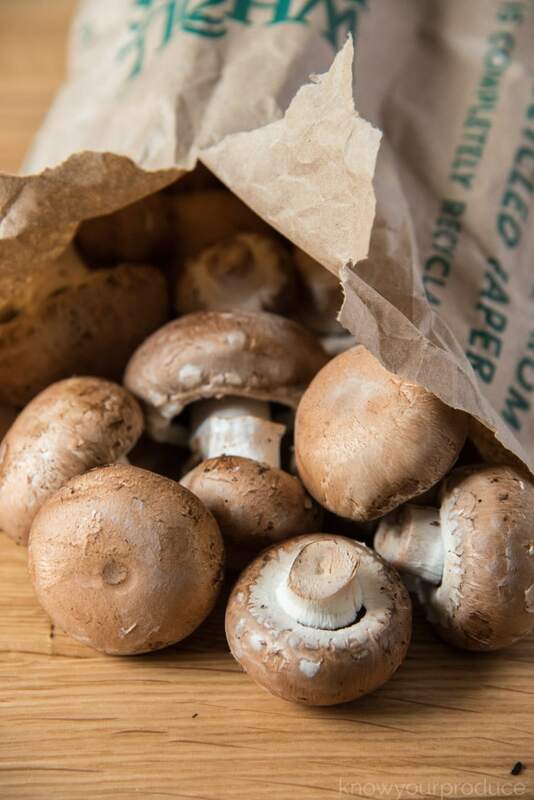 Whether you’re looking to replace the meaty texture in a vegetarian dish or you need a vitamin powerhouse in your meals, look no further than mushrooms. Mushrooms are high in antioxidants. They also contain selenium, which isn’t found in most fruits and vegetables. Some mushrooms are also a source of Vitamin D, potassium, and folate. 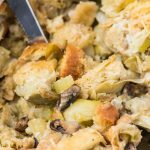 Let me take a moment to de-mystify mushrooms for you in this post all about mushrooms! What kinds of mushrooms are out there? There are an eye-popping 10,000 species of mushrooms in North America, not including all the non-identified species. Importantly, however, not all kinds of mushroom are edible. Telling the difference between edible and non-edible (AKA, poisonous) mushrooms can be extremely difficult unless you’re specially trained. NEVER eat a wild mushroom. That being said, there are nine main kinds of edible mushrooms, and most of these can be found in local grocery stores, with a few exceptions. These include Button, Chanterelle, Crimini, Shiitake, Oyster, Enoki, Morel, Portabello, and Porcini. Of these different varieties, the Enoki and the Morel are probably the least common, with Morel’s bringing a pretty hefty price tag (think, a relative to the truffle). There are over 75 mushroom species that actually GLOW in the dark. Mushrooms are closely related to human DNA, not so much to plants, they even have their own immune system. When are mushrooms in season? Mushrooms are grown and readily available throughout the year. Mushrooms are at their peak in the fall months. How do I choose mushrooms? This is a really common question. While we have a pretty good idea how to select other types of produce, choosing mushrooms can seem a little bit trickier. You are looking for mushrooms that have a smooth and firm texture, without weird bumps and lumps on the surface or fins underneath. Mushrooms should be relatively dry, rather than wet, but not dried out. They should be somewhat springy to the touch. What’s the best way to store mushrooms? 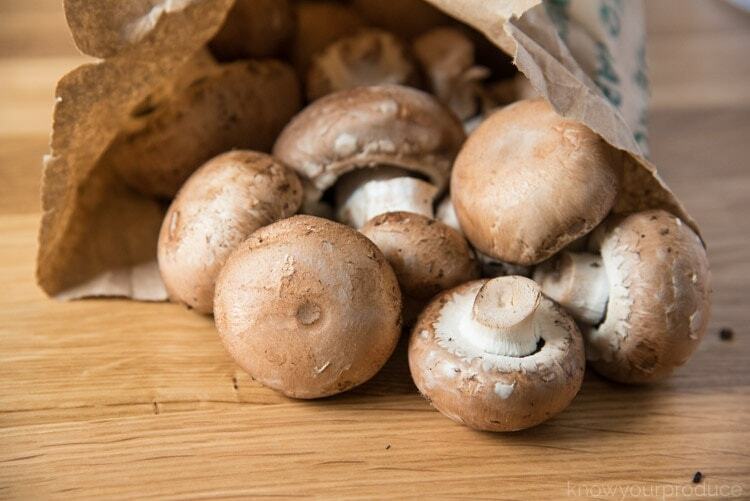 You’ll get the longest life out of your mushrooms if you store them in the fridge. The tricky part is keeping them dry without letting them dry out. If you’re not using your mushrooms right away, leave them whole rather than slicing to retain the natural moisture. Remove the plastic wrap they inevitably come in from the store and slide them into a paper bag to keep them from getting soggy. That is how to store mushrooms if you’re not going to use them quickly. You shouldn’t be storing mushrooms for too long, use them quickly, ideally within 4-7 days. How do I wash mushrooms? Some question, are you supposed to wash mushrooms? 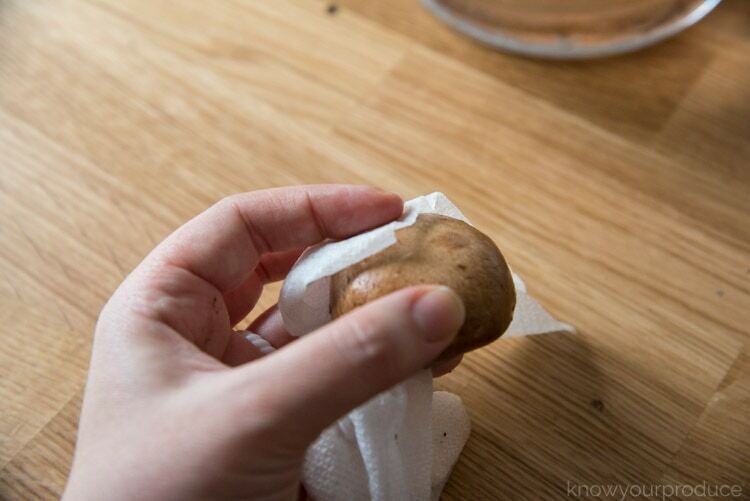 To clean mushrooms, take a damp towel or cloth and gently brush off any dirt on the surface of the mushroom. Use a gentle touch but be sure to get all the grit off. Dirt is just dirt, and it isn’t that tasty. Depending on how you’ll be cooking your mushrooms you can also drop them into a bowl of water and gently rub the dirt off. If you need crispy mushrooms you can just brush the dirt off with a dry mushroom brush. Mushrooms are 92% water. When you cook mushrooms they will release a lot of liquid and that is something to keep in mind as they absorb water when washing. This usually doesn’t impact the flavor or texture, but you will get different answers from whoever you ask. Do you wash mushrooms? It really comes down to personal preference. Some mushroom varieties will grow in as little as 1-2 weeks whereas some will take longer, 4-6 weeks. Yes, you can freeze mushrooms! 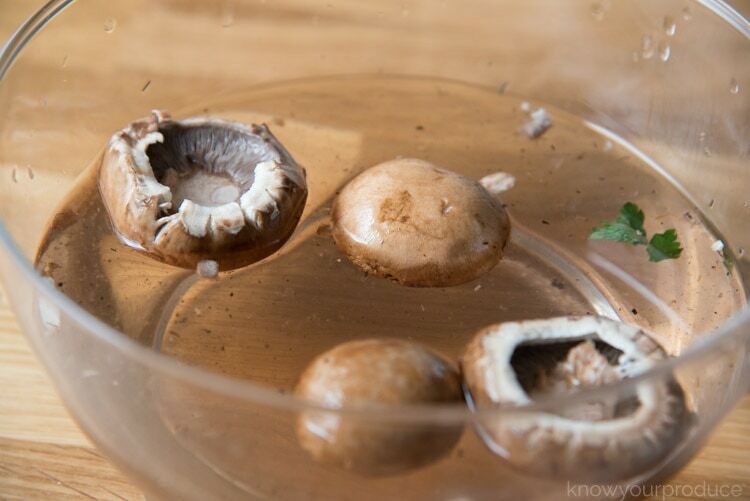 The best way to freeze mushroom is steaming them prior to freezing. This is also what we do with vegetables, like freezing asparagus, always steam prior. Steaming mushrooms before freezing is a great way to have mushrooms ready for any dishes that don’t focus on the mushroom, frozen mushrooms wouldn’t work for something like stuffed mushrooms. 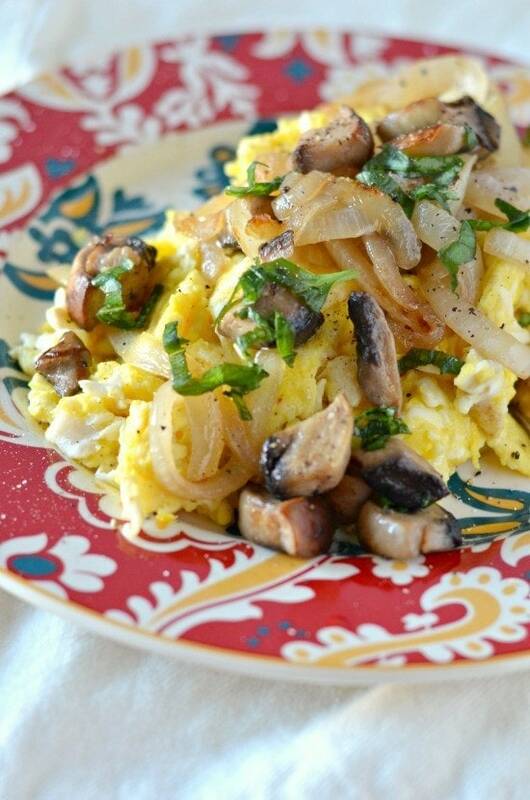 Freezing mushrooms is a great way to have mushrooms on hand for recipes, especially stir-frys. What’s the best way to cook mushrooms? Most people prefer mushrooms cooked – although you can eat button mushrooms raw. 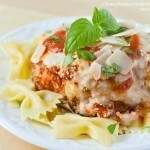 The cooking process softens their texture and enhances their flavor. Better still, mushrooms are great at absorbing the flavors of foods they’re cooked with, so they can transform your dishes. 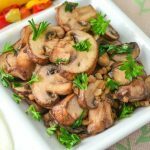 You can cook your mushrooms in just about any way you can think – the most common method is to sauté them until they’re just soft. Large and meatier mushrooms, like portabellas, do great on the grill with a coating of oil. Mushrooms are pretty easy to work with, and they can be a welcome addition to just about any style of dish. 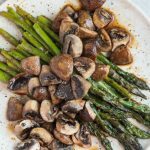 Feel free to experiment with matching different types of mushrooms with your favorite flavors – mushrooms are so nutrient dense that you deserve to have them at your dinner table every night! 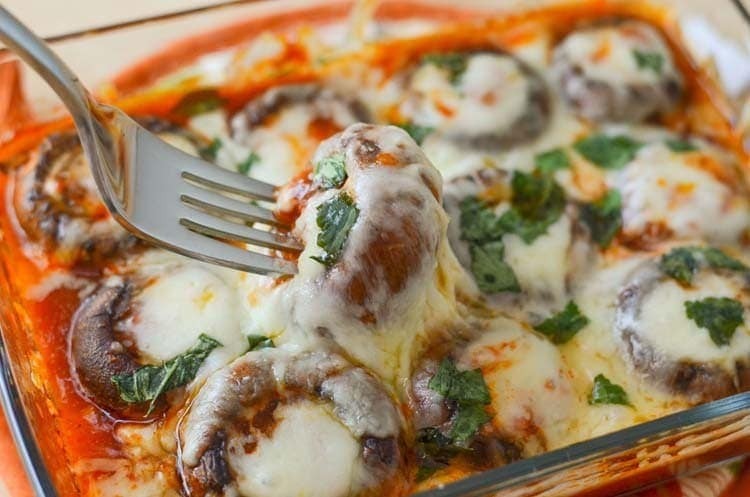 Now that you’ve learned all about mushrooms, here are a few recipes with mushrooms, these recipes have mushrooms as the star or a nice portion of mushrooms in each serving. 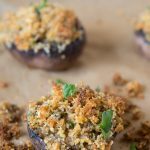 Stuffed Mushrooms – this recipe is for vegetarian stuffed mushrooms, but this can easily be made vegan by leaving out the parmesan cheese. 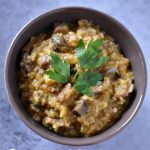 Baby Food Recipe – zucchini, mushrooms, garlic, tomato! 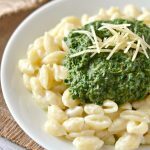 Easy Vegetarian Pasta Recipe – healthy vegetables with pasta, great for potlucks.